Digital technology developed in Norway will help improve recovery from the Johan Castberg field in the Barents Sea. Equinor has awarded Alcatel Submarine Networks a contract for permanent reservoir monitoring (PRM), which in turn has signed a letter of intent with Nexans Norway AS for delivery of subsea cable. “PRM is a central element of the digital strategy for Johan Castberg and will be an important tool in improving the Johan Castberg recovery rate,” says Johan Castberg project director Knut Gjertsen. The technology is developed in Norway, and the contract is awarded by exercising an option in the framework agreement on PRM that we entered into with Alcatel when signing a corresponding contract for the North Sea Johan Sverdrup field in January this year. Johan Castberg and Johan Sverdrup will share the PRM project management, leading to both synergies and savings. Johan Sverdrup and Johan Castberg are the first fields in the world to install this tool before production start. Nexans Norway AS is a subcontractor to ASN on the Johan Castberg PRM project. They will manufacture the backbone cable network and inter-station cable at their facilities in Rognan, Norway. 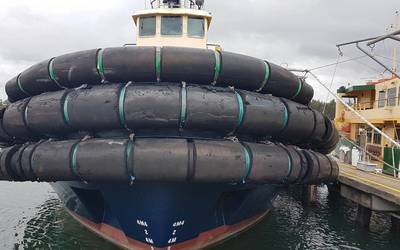 The supply will include more than 200km of subsea cable. This is an important contract which strengthens Equinor’s presence in the north. Seismic stations will be incorporated into the cables at ASN’s facility in Calais, France. Equinor’s fields on NCS has a world class recovery rate, and we expect our current portfolio of producing and sanctioned fields to achieve 50% recovery. We do, however, have an ambition to hit 60% through IOR-initiatives for our oil fields. PRM implies that seismic sensors are installed permanently on the seabed, providing better images of reservoir changes at a more frequent rate. 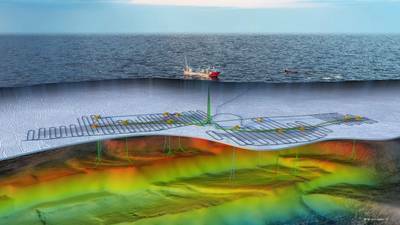 Both the amount and not least the quality of the information generated from this system will be central in Equinor’s plans for use of digital technology at the Johan Castberg field. This kind of data has a large potential in relation to visualisation, modelling and gradually also predictive analyses.